Another enchanting destination for nature lovers is Pandikuzhi. They are heaven for those travellers, who love more to indulge with nature and want to be one with the greenish environment. Varieties of flora and fauna, the chilling streams are some of the specialities of Pandiluzhi, which is ideally placed between Chellarkovil and Tamil Nadu Border. If you are an adventure lover, or a person crazy with camera and photography, then don't delay your trip to Pandikuzhi. The deep valleys, the exotic flora and fauna, the unique heritage, the beautiful streams, the splashing waterfalls, villages and event the people around will make you stay here and to visit this place again and again. 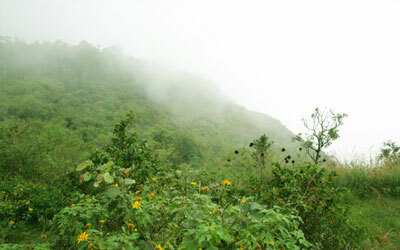 Pandikuzhi is located just 5 km away from Kumily. People nearby localities and those who are easily connected to this place, prefer it as a weekend destination others can choose this place while their trip to Thekkady. People, who are always busy with their daily chores, find this place as a getaway to relax and rejuvenate them. The nature itself involves in this healing process. Reaching Pandikuzhi is not a big job for you. It is easily accessible through bus, auto or simply by a trekking. You can board a bus from Kumily to Kattapana and just get down at Ettammile or Anakkara. You can also choose an auto rickshaw to Chellarkovil, which is around 1 km away from Pandikuzhi. 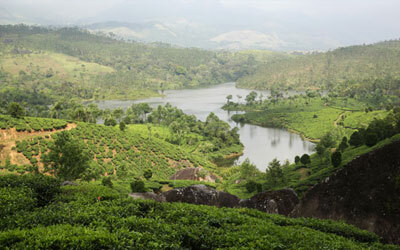 Now an adventure lover can choose a trekking to Pandikuzhi, which is also advisable. 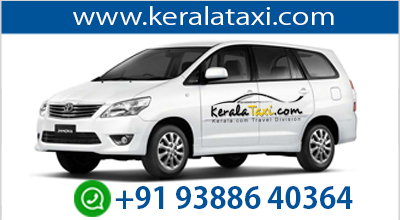 Another choice is to board a bus from Thodupuzha to Kattapana and alight at Puliyanmalaor and then get into a Kumily bus and alight at Ettammile. Pandikuzhi welcomes you round the year. But the best time to be here will be from September to March. From morning till evening you can roam around this beautiful destination. Entry fees are not needed. You will be getting facilities like restaurants, hotels and resorts at Pandikuzhi.